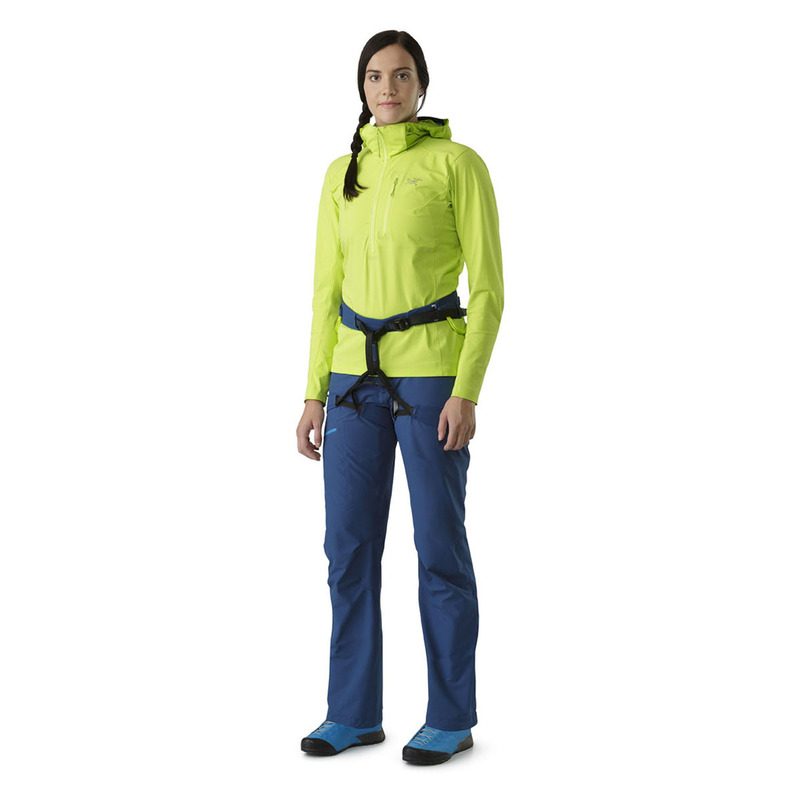 The Arc'teryx FL-355 women's harness has been created for lightweight versatility and performance level comfort thanks to its new innovative structural design, for sport, trad, alpine, mixed, and ice climbing. 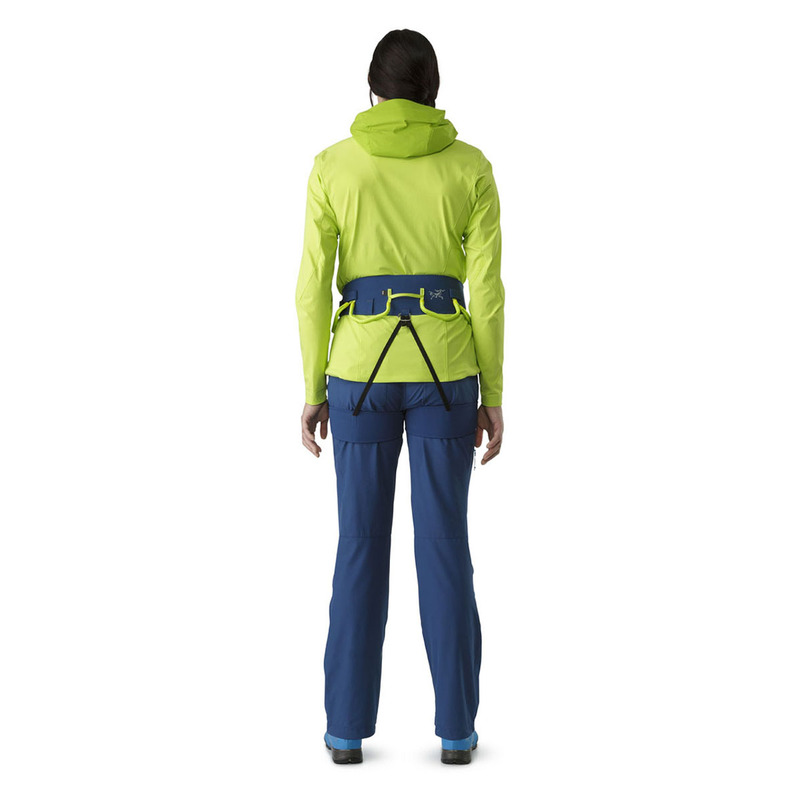 Warp Strength Technology™ is utilised in the Arc'teryx FL-355 women's harness for exceptional weight distribution with dependable strength. 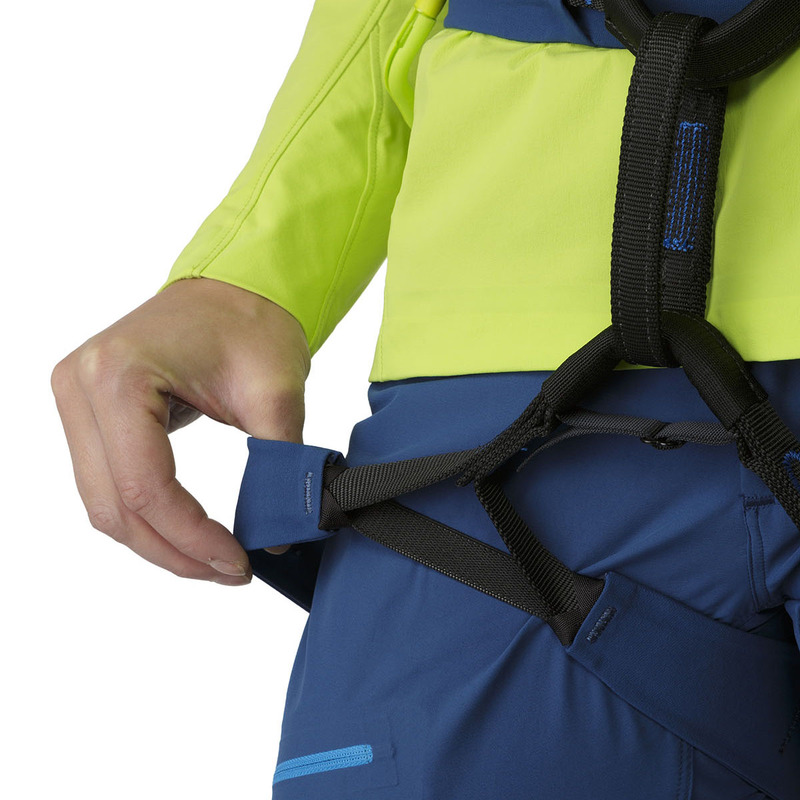 Unlike traditional harnesses, this design distributes the harness' load evenly across its entirety rather confining it to a single point, allowing the body to handle forces much more ergonomically and comfortably than before. 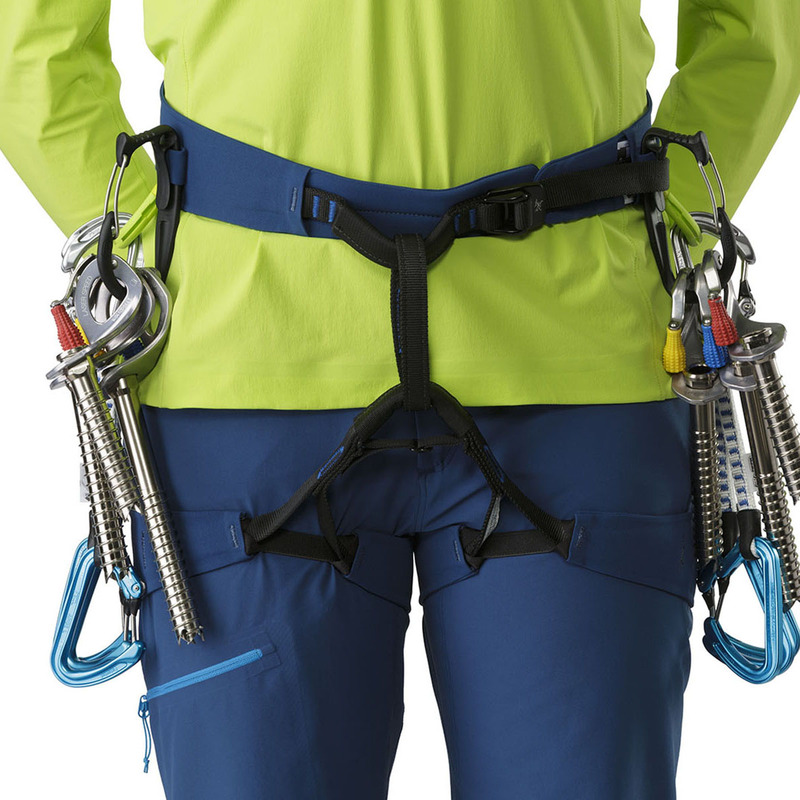 This harness comes with four ice clipper slots, a rear haul loop, and four gear loops to provide enough racking options for rock, ice, or alpine climbing, all at a weight of only 365g. 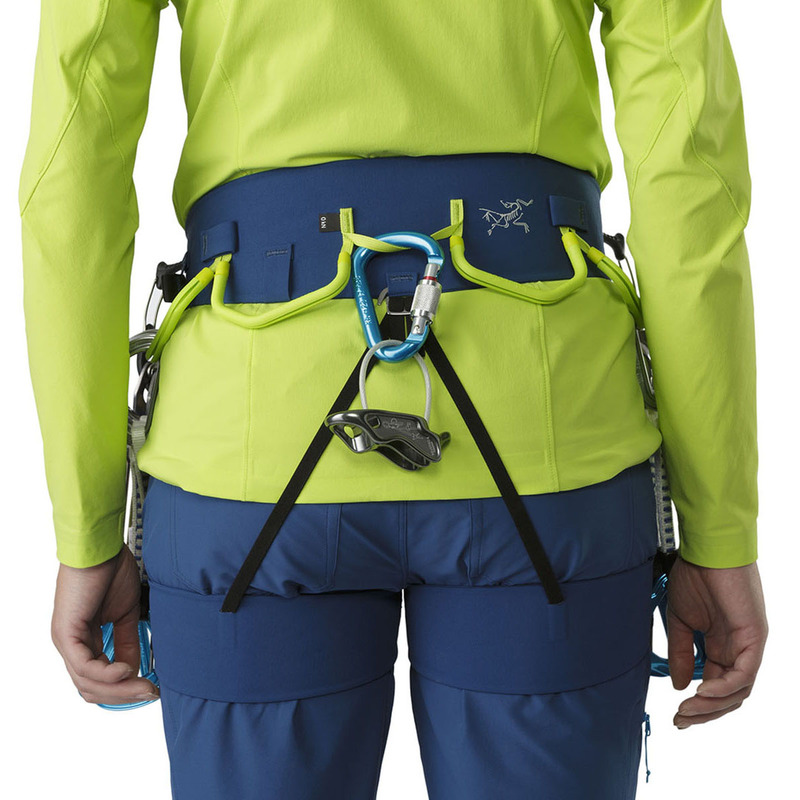 Maximum versatility, lightweight, and an innovative comfort that feels unlike any other harness before it make this the perfect choice for big wall missions or redpointing days. 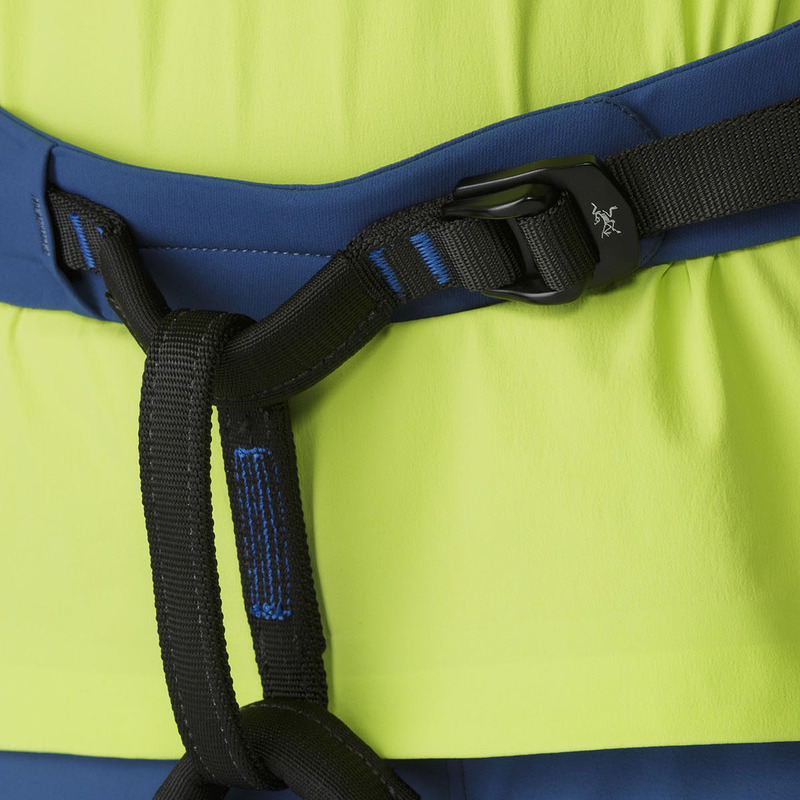 WST™ differs from traditional harness construction in that the load is evenly distributed across the entire width of the harness' structure, rather than loading a single, narrow strip of webbing in the centre or running edge binding, both of which tend to concentrate the pressure of the harness and make them less comfortable. Warp Strength Technology™ cradles the body and the load is universally dispersed from edge to edge. 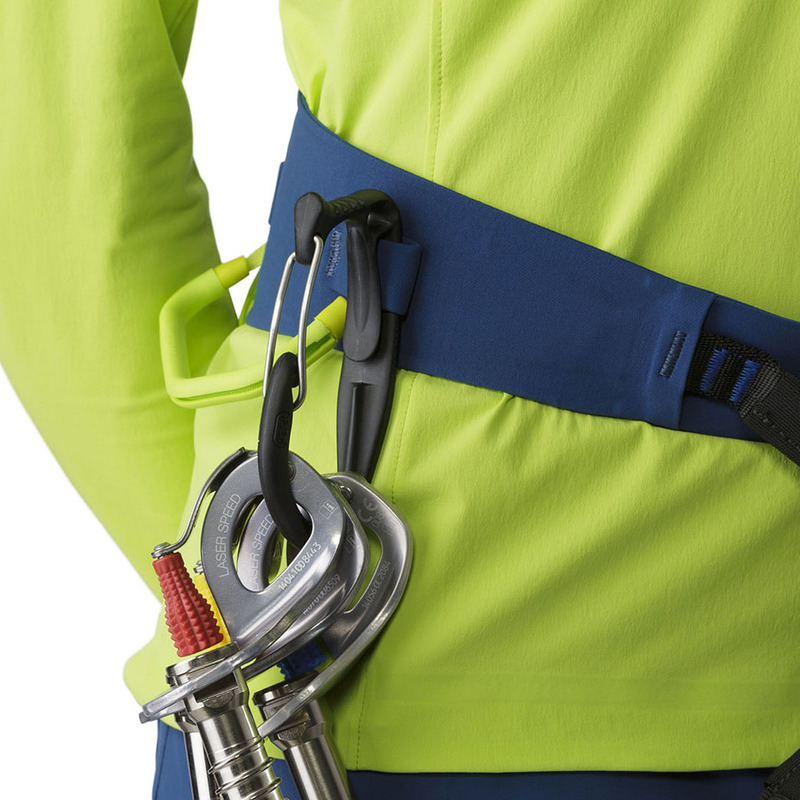 This construction method provides a high degree of support, and this new generation of harnesses is more comfortable over time and usage than ever before. 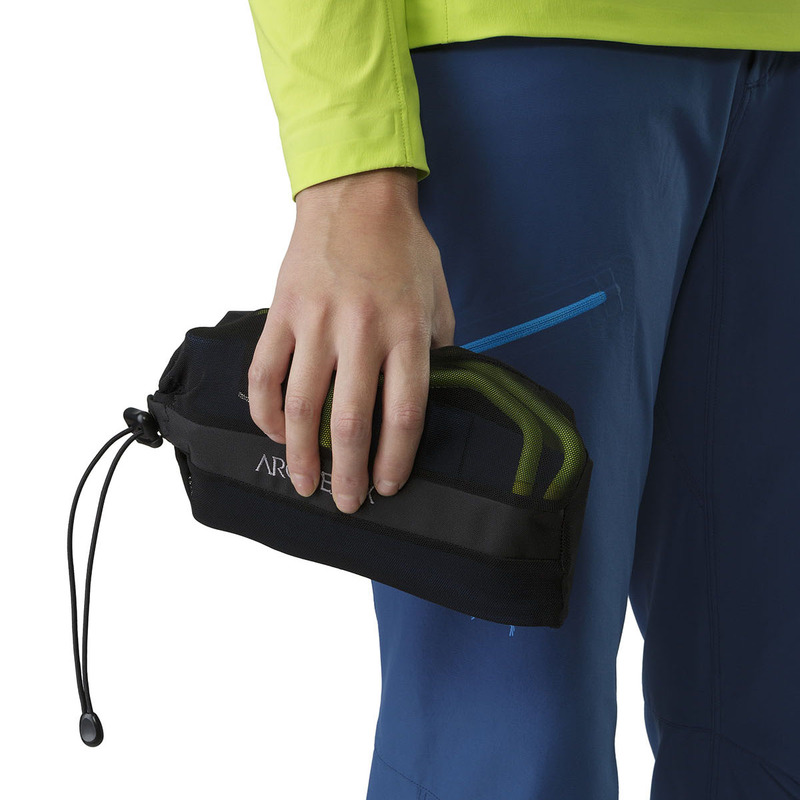 The waistbelt and leg loops now include thin reinforcements that help keep the load distributed more evenly across their width and the edges have been softened for a smoother transition. 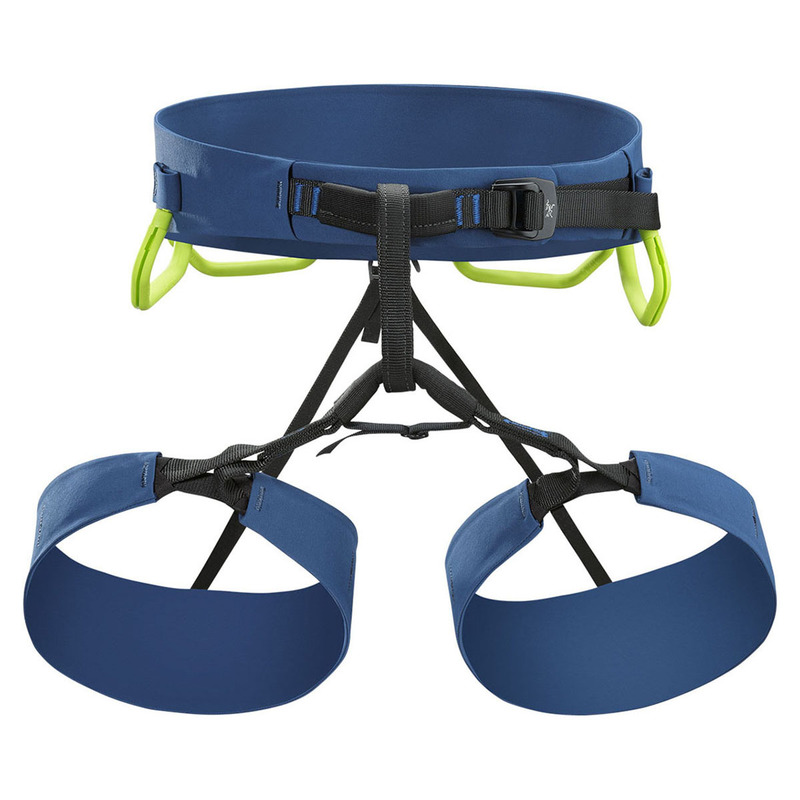 All resulting in a WST™ harnesses that are durable, ultra compact, comfortably supple and light weight.